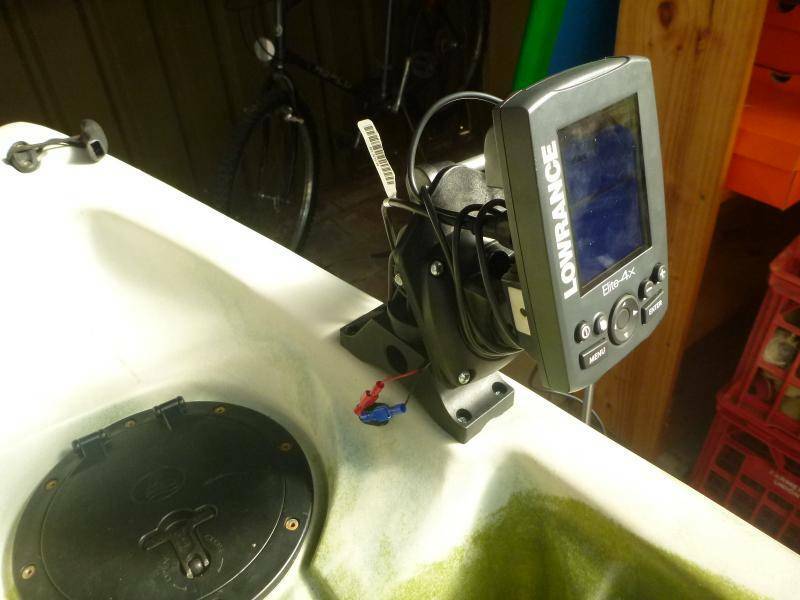 Over the weekend I purchased a small sounder unit for my kayak and installed it with the help of fellow member Jimbojames. 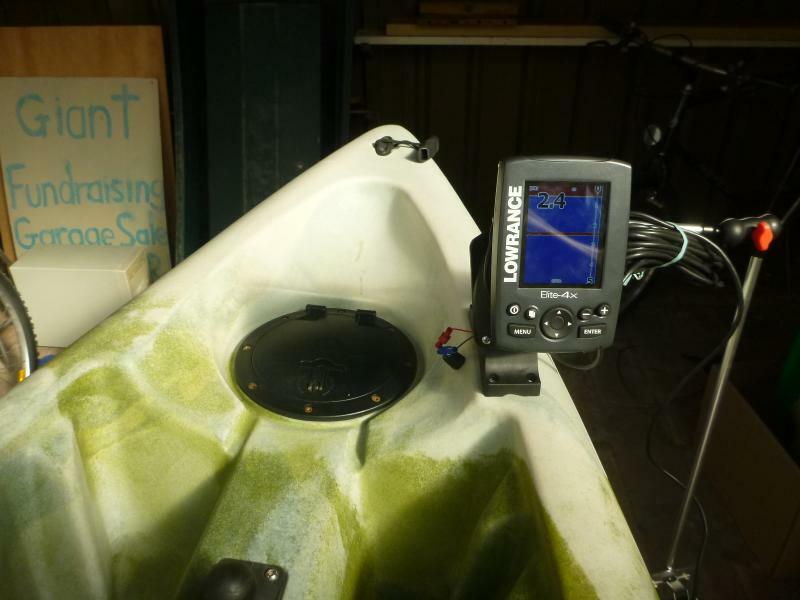 I have had my kayak for two years but decided to add a bit of gear so I bought a Lowrance Elite 4X sounder. 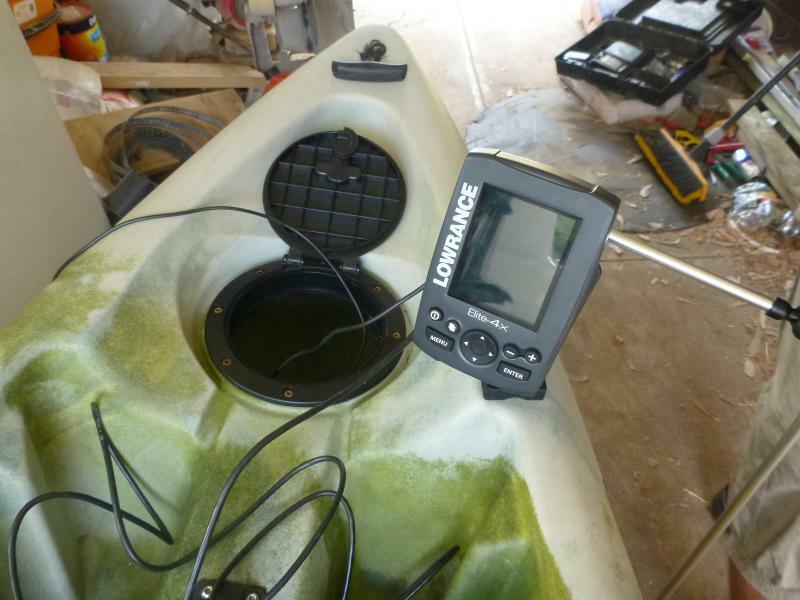 The plan was to install it and then try to produce an informative report of how to install your own sounder to your yak if anyone is interested. So my kayak is a Scorpio Terrapin with specs 270cm length, 79cm width and weight of 20kg. 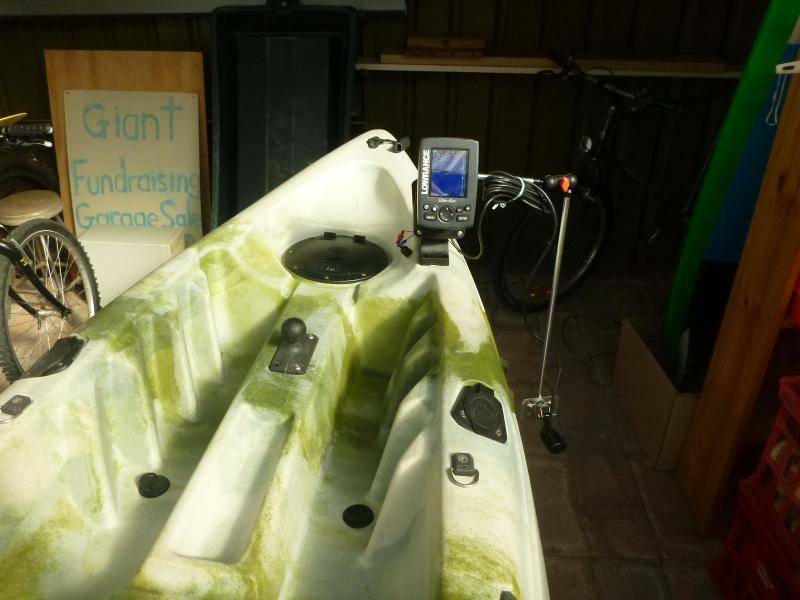 It is very stable and helps me to get out on the waters of the Onk and Coorong, etc. Firstly, always plan before you start to drill holes in the kayak. For example, I sat in my kayak first and Jimbo and I mucked around with the exact placement of the sounder unit as you should be able to comfortably reach the sounder from your seat and it should be clear of things such as a rod holder, etc. My sounder is mounted on the right hand side, just before the storage hatch. Once the location has been pinpointed, mark the holes to be drilled with pen/pencil for where the screws will be inserted to hold the unit in place. 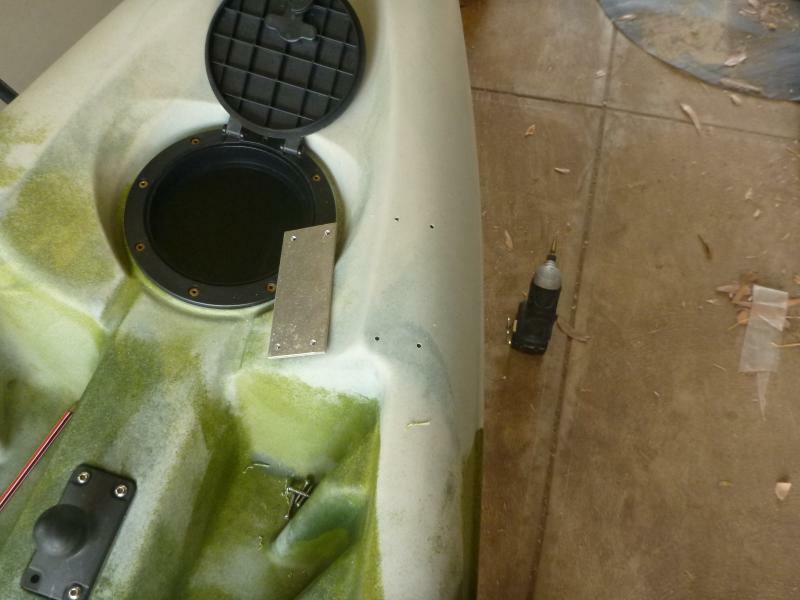 With the help of an aluminium plate glued to the inside of the kayak, the sounder can be mounted flat and stable. The screws were Selley-ed around holes to completely fill the drilled holes. Then once the Selleys had set, we mounted the sounder and transducer bracket like so. So with the sounder in place and the transducer unit set up, the wiring was left to do. 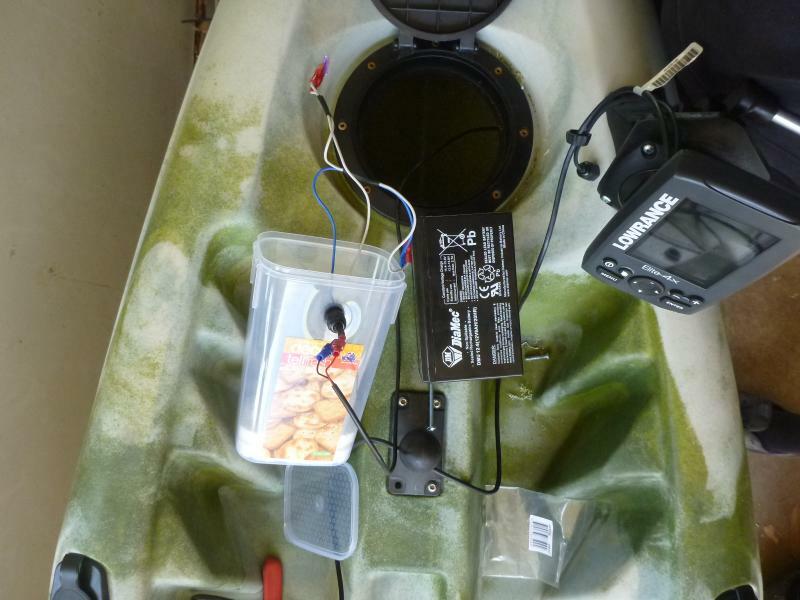 The sounder required a 12V battery and that was placed inside a plastic tupperware container and sits inside the front storage hatch. 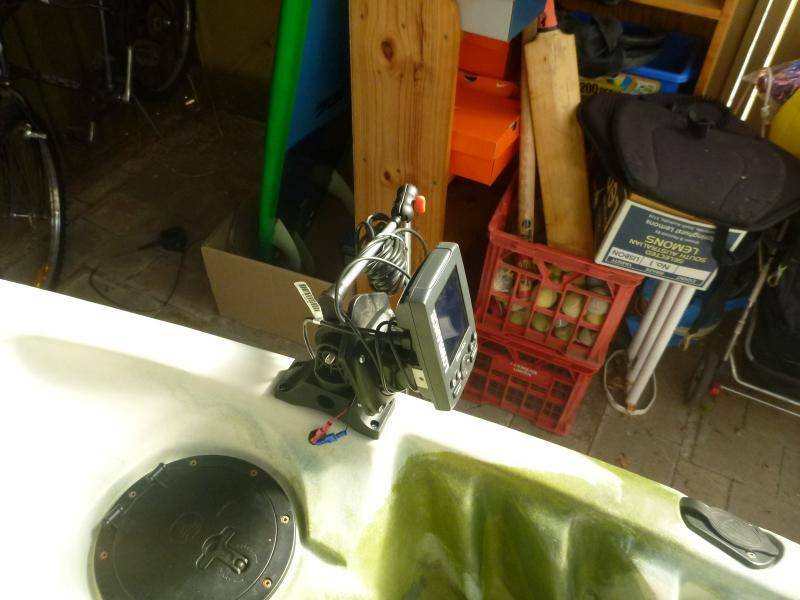 The terminals are wired up to a series of cables running to the sounder unit via the use of two rubber grommets; one on the plastic battery casing and one in the top of the kayak to connect with the unit. This is to make it watertight. The wiring stays inside the kayak and all that was left was to secure the mountain of transducer cable, easily done using a few cable ties. The sounder is fitted out of the way, easily accessible and when finished fishing and being transported, the unit and transducer can be removed so it doesn't rattle around and possibly damage things. 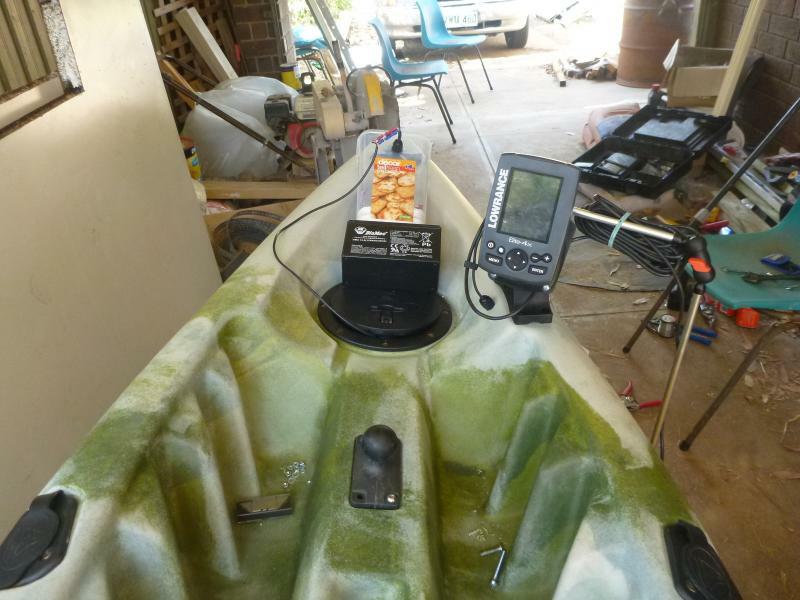 I am yet to test it out on the water but planning on hitting West Lakes Sunday to give it a run. Also would like to thank Jimbojames for all his help and experience, a tidy job and I'm really happy with it. Now to go catch some fish! Good to see older wolves helping the cubs. Hope it helps find heaps of fish for you K man. Technically it's a Decor' Tellfresh container not Tuperware hate someone from Decor' to go all legal on you. Should try sending the decor to tupperware, see if you can full their warranty department. And here is the finished product at home, ready to go out tomorrow. So this stealth coloured kayak, is it to hide from other kayakers? & by the way, is there a spare seat for poops, he's itching to get out again. Sorry for the thread dig, but doing some research on mounting ideas.. How did this set up go? Has the sounder survived with all the water it would have seen? It’s still going strong mate. 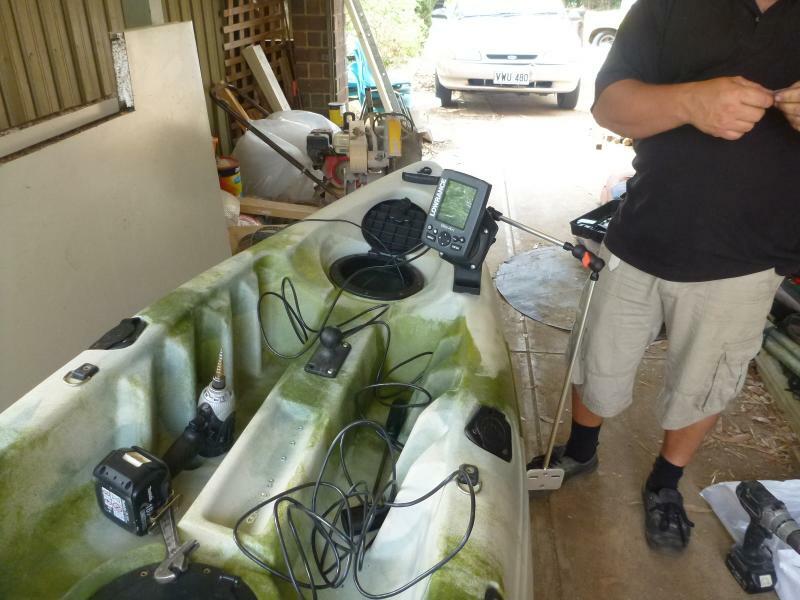 I ended up selling the old Lowrance unit to a mate and all the wiring still worked fine. It didn’t get too much splash and I always cleaned the unit with freshwater after each use. Once I began fishing the river a bit more I upgraded units to a Garmin Echomap 45DV with downscan to find all the hidden logs etc. Cannot fault it. So long as you give the unit a wash and dry it out properly, it’ll be fine. Stainless screws all still holding great. 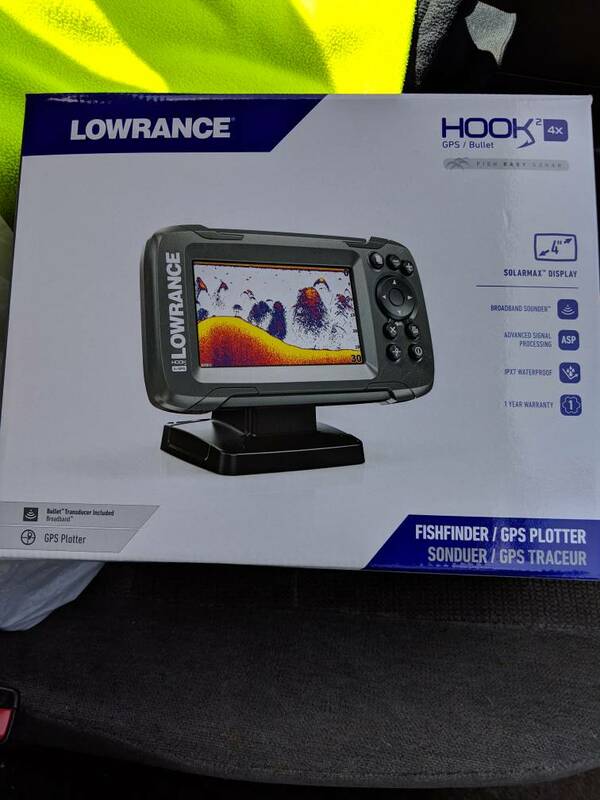 I can get a real good price on a Lowrance Hook2-4x So i reckon i'm going to go with that.. It should do the job, I don't need anything to fancy. Check out Ram mounts if your looking for some mounting ideads. Incredibly happy with mine for the boat. They do them for all sorts. Mobile phones etc. I'm a big fan of a shoot through transducer set up myself unless you have a side scan one. I had one on an arm that I originally got with my kayak but it'd kick up all the time. I just find shoot through so hassle free, all I have to do is connect the battery and the head unit and I'm away. Yup in be mounting mine in the hull. have you bought a sounder yet? Not yet.. but already said yes to this one. Was looking before inside the yak, not really much of a flat surface to work with when mounting the transponder to the floor. Need to do some more research. 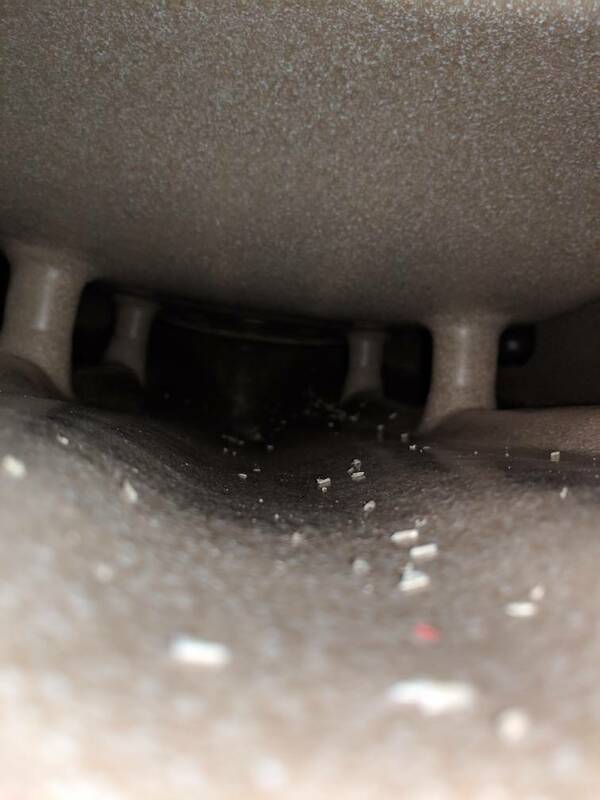 flat spot under your seat? Never seen those before. Got a link? I've only ever seen the small squeeze tubes and the 260g cartridges. 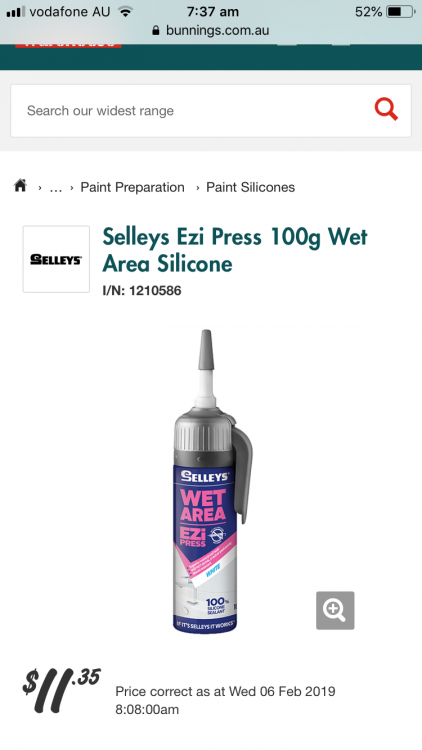 Selleys All Clear works fine i.e. most of the interstate blue water off shore yakkers install their transducer with it. Sorry hard to get a decent pic, must be the camo. There is a valley that runs down the guts that i reckon it would sit ok in. 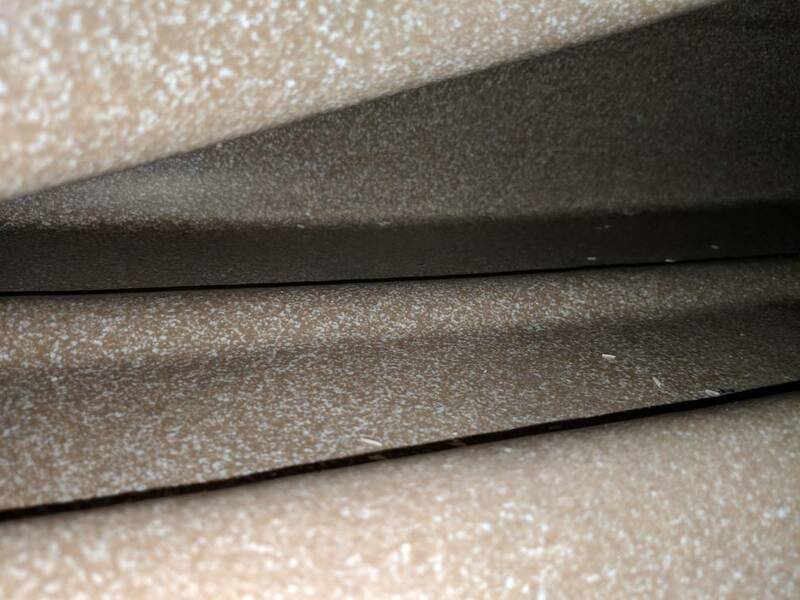 Looks like people use high density foam to make a surround from then fill with silicone. Reckon it would be ok in that valley? I guess I'll have to put something to weight the foam down to mould to the hull shape when drying. The other option is the 4th pic which is to the side of the yak, will it affect the reading if that part of the hull is not always under water? Once you mount the transducer.. can you hook it up while it's still wet to make sure it's reading ok before it sets? Yeah i have been looking at DIY's online tonight on doing it. I should be right. Hopefully. Should be picking up the unit tomorrow.. Next problem is the battery, 12v 7ah seems to be the norm? Next problem is the battery, 12v 7ah seems to be the norm? A lot of yak manufactures have copied the Hobie hatch and as such the Hobie bracket fits them also i.e. 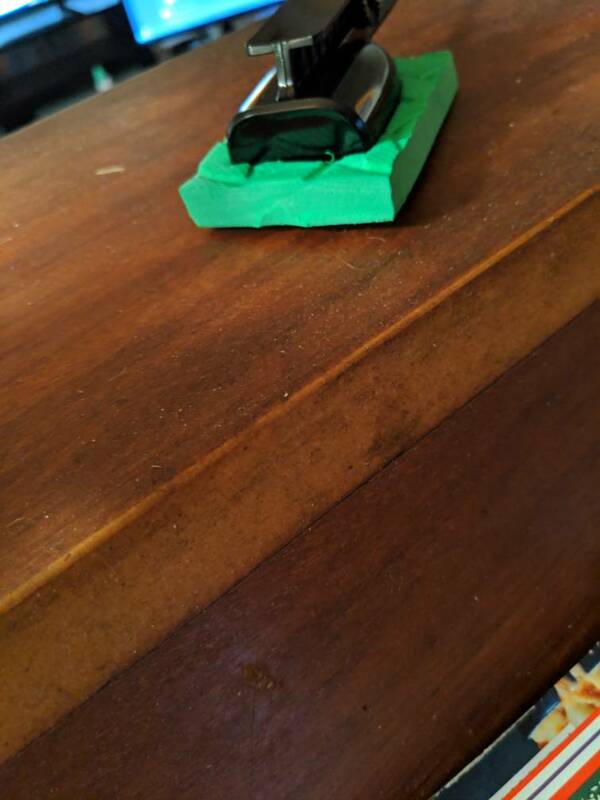 battery clicks in the holder and the holder sits on the inside lip of the hatch. Do you have to cut the plug off that battery in the link and rewire it? Or does it come with a plug with 2 wires stocking out to hard wire it to the sounder then plug the batter plug into? I use the set up that Lure has posted above except I use the 9AH battery, it's a cheap consumable part for me, I'm lucky if they last 12 months before the salt water environment corrodes the terminals away but they're fairly cheap and readily available. Struggling with the foam ring.. don't want to stuff it up..
Do I want the bottom layer a tight fit or not? so that I can move it around when pushing the TD into the silicone?? On my lowrance hook 5 (probably the same transducer) i made the bottom one slightly larger than yours so that the silicone came up the sides as i pushed it down. The top looks the same as yours. Mine works perfectly but I don't know if it would make any difference with the bottom layer being a bit tighter. 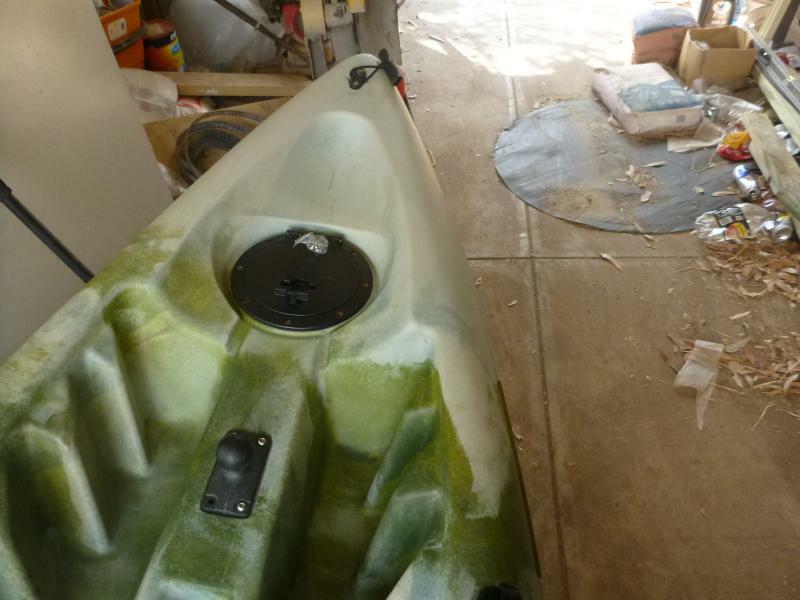 Also I've done two installs (shifted from one kayak to another) & I did notice a few air bubbles when I pulled out the first one & it still worked perfectly. Maybe it depends exactly where the air bubbles are on the TD. I think it's more important to make sure you put some weight on while its drying & let it set properly for a few of days at least. I ended up opening the bottom up a little bit. 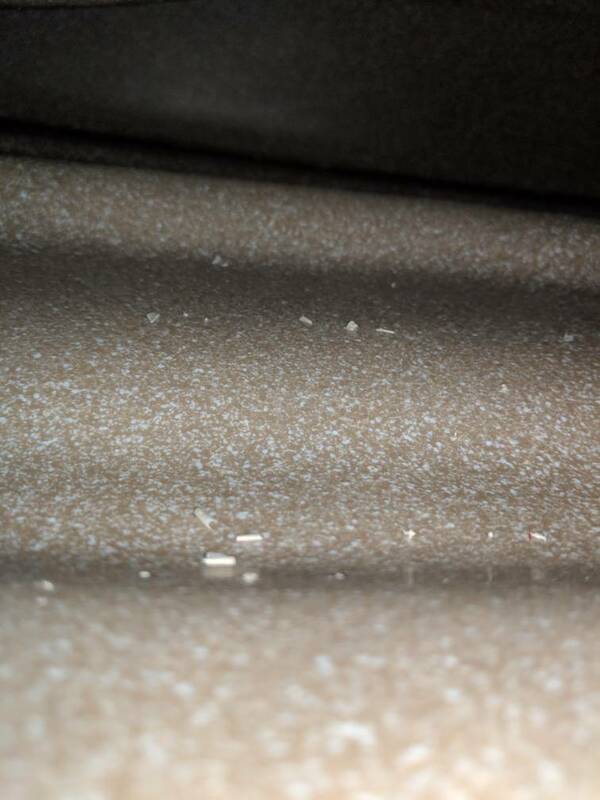 It's now glued into the hull. Was going to fit the TD today but i might hold off till after the weekend as I might go out Sunday and want to give it plenty of time to dry. Decided on the run of the mill 7ah battery (still need to purchase) and i'll either make a mount or buy one of them hobie 8" hatch battery holders. Any seggestions or a charger for it? I'm guessing i can't use my car charger? I think it's only 2.5A i reckon. A mate has put the idea of getting a ram mount for the head unit rather then the factory one, will get it up a bit higher and dryer, Still looking at options for that, Trying not to spend to much if i can get away with it. Any seggestions or a charger for it? I'm guessing i can't use my car charger? You may be able to save a couple dollars by shopping around or you could simply go to Jaycar and get the battery and charger. Pros and cons for both. Have you sorted out a anchor i.e. in the above photo you can see the yellow crab buoy and cord, which has a folding anchor attached to it i.e. Tackle World Metro sell the buoys. Most of use that go to see use these, although in a smaller yak you may prefer something smaller than the buoy we use. Suspect you already have a life jacket but if you haven't may I suggest a kayakers vest type especially if you intend to go to sea, i.e. aussieDave and others will back me up on this. The yoke inflatables PFD's are ok for protected waters (West Lakes, Murray etc.) but even then if you can get use to wearing a proper Yak vest life jacket you will be better off imho i.e. S&H Kuerschie uses a kayak vest type Life jacket, even on the Murray. 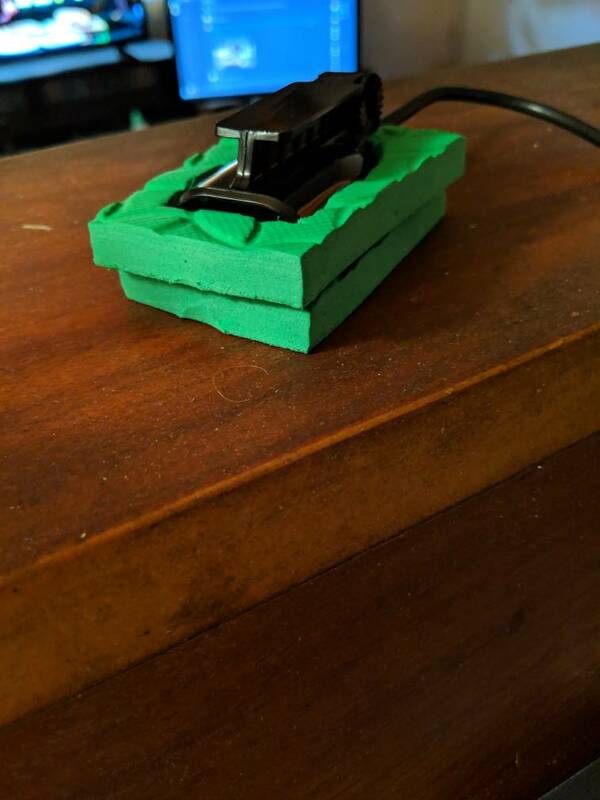 You should no issues charging the battery with a normal charger if you're using one like in Lure's post above, I use a standard car charger for mine. I use the ram ball and a spring loaded connector to my head unit, it works well. 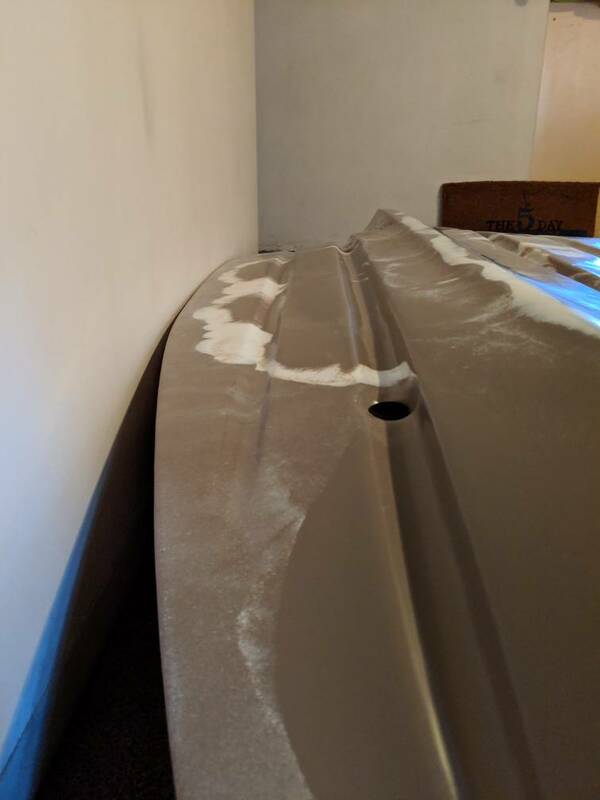 I also use the Hobie, I don't know what it's called, plug thing to pass the cable through the hull, it allows three cables to be passed through and comes with multiple sizes of grommets to seal it.